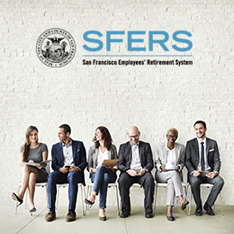 You have three options for your accumulated contributions if you leave employment with the City and County of San Francisco before you are qualified for service retirement: Vesting, Reciprocity, or Refund of Contributions. 1. Vesting: With at least five (5) years of credited service, you may “vest” and leave your contributions and interest in your retirement account, preserving your claim to a vesting allowance in the future. The vesting election is irrevocable. Please see your summary of key plan provisions for information on vesting requirements for your plan. 2. 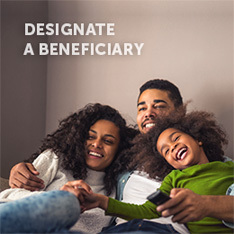 Reciprocity: Regardless of years of credited service, you may leave your contributions and interest in your retirement account, if you become a member of another reciprocal California public system, or another SFERS plan within six (6) months after terminating employment with the City (or participating employer). 3. Refund of Contributions: You can receive a full refund of your retirement account (i.e. employee contributions plus interest). You have two (2) distribution options; a direct distribution to you, or a direct rollover to an IRA or other qualified retirement plan including the City’s 457(b) Deferred Compensation Plan (SFDCP). Please allow up to eight (8) weeks for delivery of your distribution. 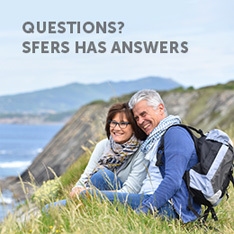 If you have more than five (5) years of credited service, we strongly recommend visiting the SFERS office to speak with a retirement counselor before receiving a refund. 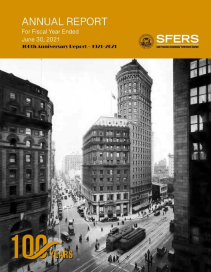 Refer to the Leaving City Service fact sheet to learn more about SFERS termination options for accumulated contributions. Or, select the link for your membership group below and select “Benefits”, then “Separation Benefits”.